Dubai, United Arab Emirates (UAE), June 12th, 2018 - Franchise Arabia has partnered with Winsight, LLC to support the #1 global industry event in the calendar year, the Global Restaurant Leadership Conference, being held this 10-13th November at JW Marriott Marquis, Dubai. 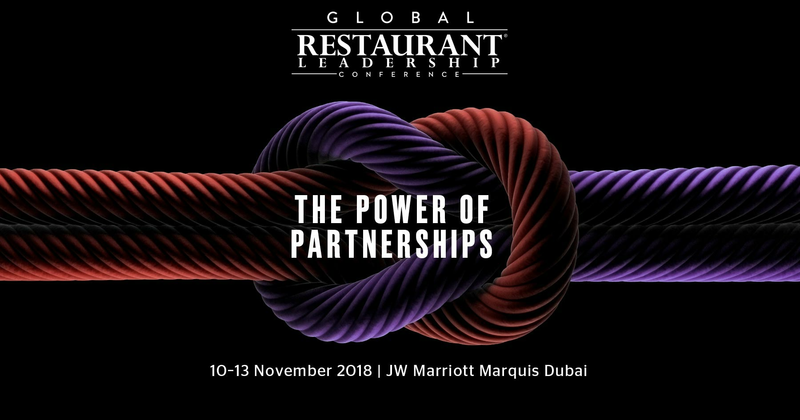 This exclusive invitation-only Global Restaurant Leadership Conference (GRLC) delivers an unprecedented line-up of industry experts and featured speakers who will share the latest trends, financial states and leadership practices. The region is experiencing growth across the various related industries – franchising, restaurants, F&B and hospitality so anyone of the Who’s Who will be trying to attend this annual event (as space is limited). Some of the largest brands in the industry are sponsoring and supporting this conference, which is known to attract high caliber leaders and executives from all over the world. As the voice of Franchising in the Middle East North Africa (MENA) region, Franchise Arabia has been instrumental in adding a Franchising focus, providing assistance in the creation of the conference agenda, topics and first-class speakers, to share their wealth of Franchising knowledge with the conference attendees. “The previous years, GRLC have witnessed tremendous success in the region, and we are looking to deliver a bigger and better event this year,” added, Michael Burkette. Omar Alhaza’a, Founder & CEO of Franchise Arabia commented, “We’re thrilled with this partnership and are excited to be involved with this upcoming huge event in our home-town of Dubai – the vibrant center of the region. Our aim is to bring more value to the table to help execute a stronger event this year. I am also personally honored to be a member of GRLC advisory council, alongside global industry leaders, and to be a gold sponsor of the conference”. Winsight LLC is a recognized leader in business-to-business media and information services for the convenience-retailing, foodservice and grocery industries. Winsight has an extensive media portfolio, including five publications: CSP, Restaurant Business, FoodService Director, Convenience Store Products and Winsight Grocery Business. Winsight also offers a suite of digital products, including websites, e-newsletters, webinars, video products, mobile and tablet apps, and custom marketing solutions. In addition to more than 12 major EduNetworking conferences and advisory meetings, Winsight also produces seven exclusive, large-scale executive-level conferences: Restaurant Leadership Conference, Global Restaurant Leadership Conference, Outlook Leadership Conference, Convenience Retailing University, FSTEC, MenuDirections and Restaurant Directions. In 2015, Winsight acquired Technomic Inc., a provider of primary and secondary market information and advisory services for the food industry. For more information on Winsight and its brands, go to https://www.winsightmedia.com/. FRANCHISE ARABIA is known as the ‘The voice of Franchising’ in the MENA region. The group offers multiple franchise related services with its portal as the main marketing engine. It is the leading most comprehensive MENA-wide directory for finding the best franchise opportunities for sale. Franchise Arabia’s portal is a digital platform that matches the best franchise opportunities with prospective franchisees. It’s the premier destination for both franchisors & franchisees to matchmake business opportunities in the Middle East North Africa region and worldwide. We help franchisors grow & expand their business in new markets. We give companies the two vital ingredients that they most need to grow: the right platform to showcase their brand and the opportunity to generate qualified leads. Today, we have a proven track-record and a concept that has achieved and sustained growth rates at or above the expected benchmarks, during which we have gained tremendous regional & global traction.